Excelsior Springs bed and breakfast travel guide for romantic, historic and adventure b&b's. 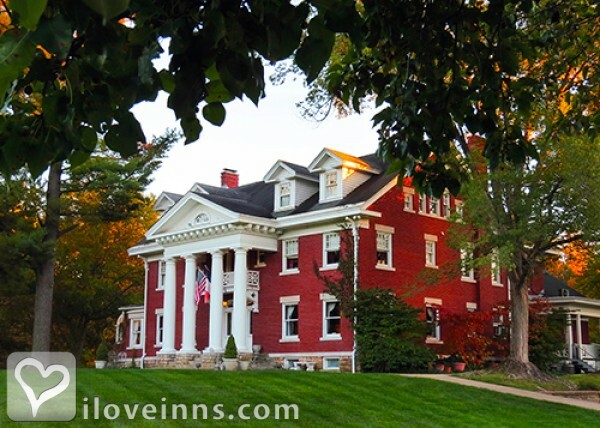 Browse through the iLoveInns.com database of Excelsior Springs, Missouri bed and breakfasts and country inns to find detailed listings that include room rates, special deals and area activities. You can click on the 'check rates and availability' button to contact the innkeeper. A city in Clay and Ray Counties, Excelsior Springs is a mixture of historical sites and some fine shopping districts. When you visit Excelsior Springs, you not only get a taste of the tourism but also of health since this city is equally famous for its health spas and clinics. Try out any of the Excelsior Springs bed and breakfast inns to experience that quaint yet progressive city feel. Al Capone was a frequent visitor at the Elms Hotel, as well as former President Harry Truman and both enjoyed the hotel's European style spa. Take a mineral water bath at the Halls of Waters. Shopping malls and dining establishments are everywhere throughout the city providing some of the most exciting shopping and dining opportunities in the country. There is also the Excelsior Springs Community Theatre where quality productions are being played every now and then. By Inn on Crescent Lake. Excelsior Springs gained fame as a source of healing mineral waters. At one time, eight trains ran each day between Kansas City and Excelsior Springs so people could visit clinics and bathe and drink these waters. The area was famous for having the highest concentration of unique mineral water springs in the world. By Inn on Crescent Lake.